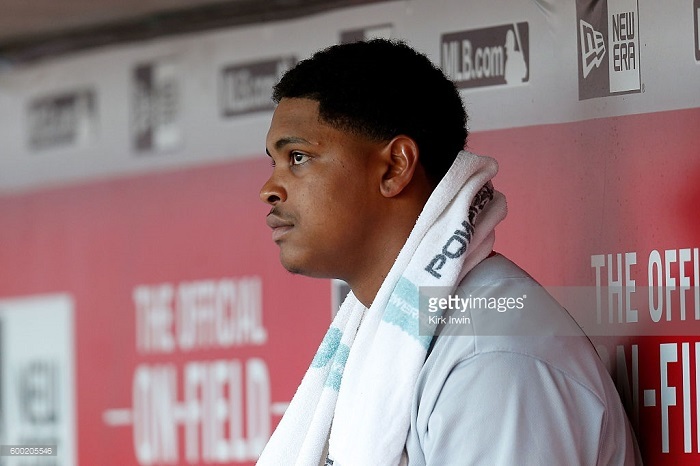 Alex Reyes, after review, will have a Tommy John surgery, #cardinals affirm. Paletta will do surgery here in Jupiter. The St. Louis Cardinals reported for their first official Spring Training workout on Tuesday and already there is concern for the Top pitching prospect RHP Alex Reyes. Based on reports, Reyes complained of discomfort in his right elbow and was sent to the medical staff to undergo an MRI. The results revealed a partial tear of the ulnar collateral ligament in his elbow. Reyes will get a second opinion but a source revealed to ESPN’s Jim Bowden that season-ending Tommy John surgery is likely. The 22-year old New Jersey native, made his major league debut on August 9, 2016 tossing one inning and striking out a batter. In 12 games, five of which were starts, he was 4-1, with a 1.57 ERA, 1 save and 52 strikeouts in 46 innings. Reyes is ranked as the #6 prospect in baseball by MLBPipeline.com and was expected to be a key contributor to the rotation in 2017.